How Can I Go 31st Salon & Spa, LLC? 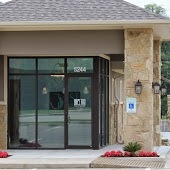 Where is 31st Salon & Spa, LLC in Temple on the Map? This location has 42 reviews from customers. I have been a customer of Nikki Potter since 2009. I schedule my appointments a year in advance because I do not want to miss an experience of her cutting or coloring my hair. She is professional, courteous and I love each visit with her. The new salon and spa is beautiful and a real treat. Don't miss out on pampering yourself by visiting Nikki! The.Best! Nikki Potter has been my awesome stylist for the past 8 1/2 years! Her attention to detail, customer service and professionalism is second to none! The quality and care of Nikki's work can't be matched! Her beautiful new salon pampers you with a five star experience! I'll never go anywhere else! I have been seeing Nikki for about 6-7 years now and I can't imagine going to anyone else. I am SUPER picky and VERY meticulous and Nikki not only gets my hair just how I like it and want it- she's so super nice she can even put up with me! I always like to change up my style or color and have never been disappointed, but that's also because she is completely honest with you and will tell you if a cut and/or color would really work for you or not. She's seriously one of the sweetest people I've ever met so it's not only a hair appointment for me; its also my time to "get away", and like a therapy session (ha!) with one of my best friends! Plus, the new salon is very efficient and chic and has an amazing massage therapist! My favorite thing to do is have them schedule a massage with Jenny first and then go straight to my hair appointment with Nikki- it makes for a great day that I look forward to! Today is my second time at Nikki's new location. The staff is very welcoming and the decor is crisp and new and VERY relaxing. Quality hair care for a reasonable price. Unexpected plus is a great parking lot with SHADE!